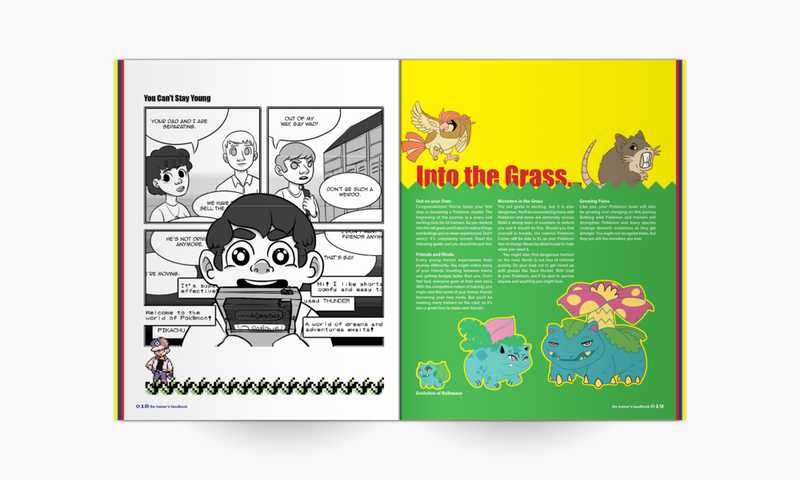 The Trainer's Handbook: Coming of Age in Kanto is a passion project and a love letter to my childhood. 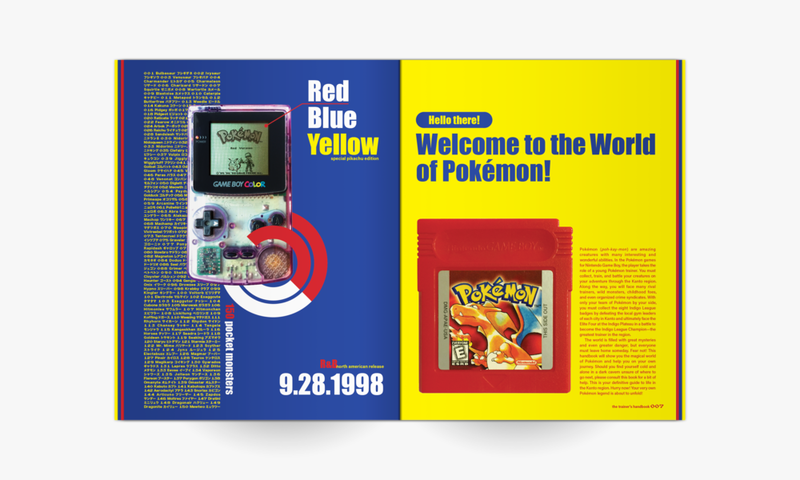 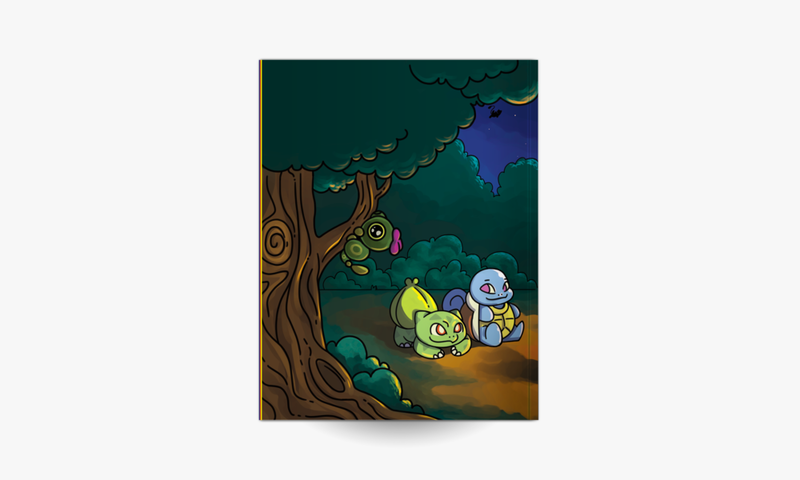 This book tells the story of the original Pokémon Red and Blue games through an in-universe lens as a guide to adolescence. 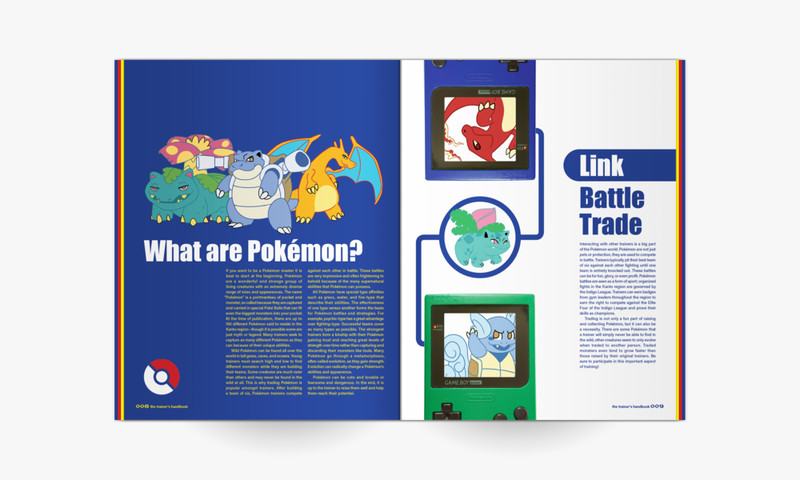 The overall form is inspired by classic video game player's guides. 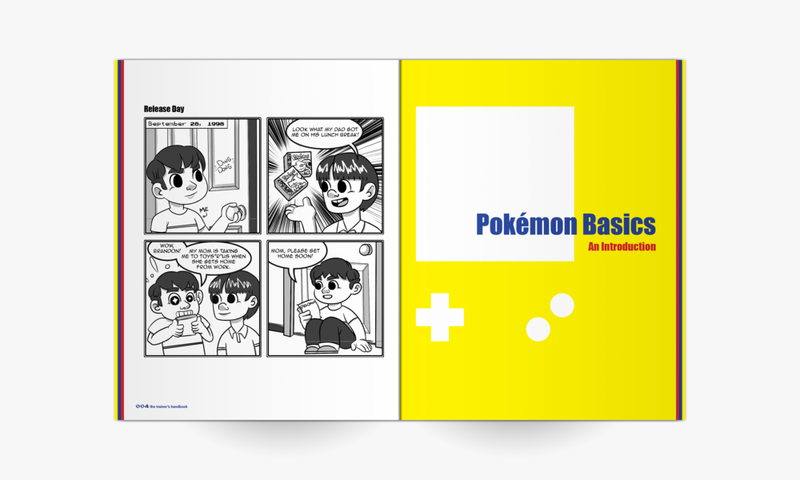 Snippets of my own childhood during the time of release for these games are revealed in a series of four comics. 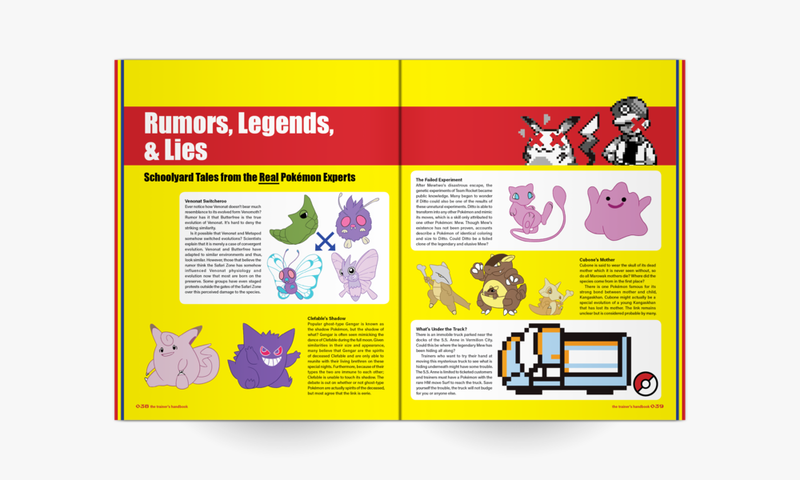 Original layouts, illustrations, and writing. 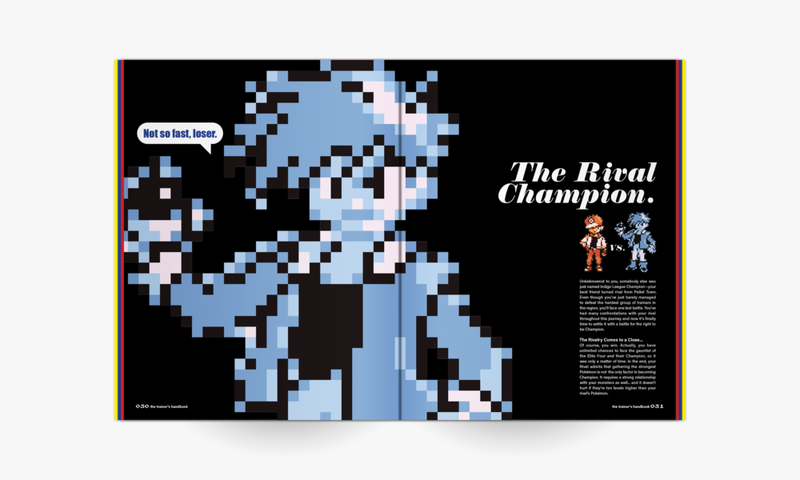 Screenshots and sprites captured from game.